Tom Andrew Maakestad was born in 1957 and raised in rural Northfield, Minnesota in a family of artists. 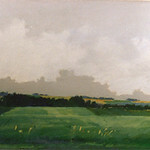 His father, John, was an artist who taught at St. Olaf College for 37 years. 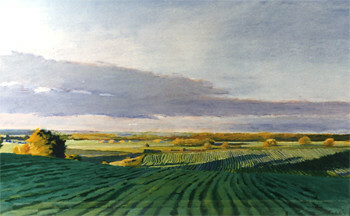 Maakestad graduated from Luther College in 1980 with a BA in art and continued his studies at the Minneapolis College of Art and Design. 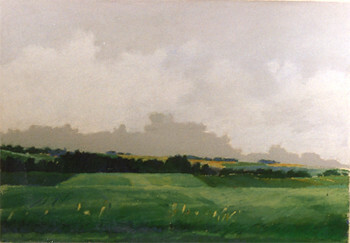 His talent was recognized early on when he received a purchase award from the Jerome Foundation’s Young Minnesota Artists juried exhibit in 1980. Since 1981, Maakestad has worked as an artist and designer, including seven years in Hong Kong (1985-1992) where he was creative director for Reed International, a publishing company and trade show firm. In 1992, he established his own business, Maakestad Design Office in Marine on St. Croix, Minnesota. 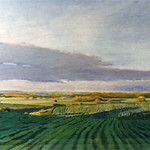 Maakestad is a prolific artist and active exhibitor with over 50 shows to his credit since 1993. His work has been repeatedly featured in solo exhibitions at both the Groveland Gallery and the Suzanne Kohn Gallery in Minneapolis, Minnesota, along with at the Grace Chosy Gallery in Madison, Wisconsin. 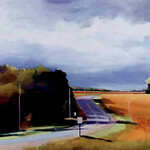 He has also had solo exhibitions at the American Club of Hong Kong and at Luther College. His work can be found in over 30 corporate and institutional collections including the following: University of Minnesota; Lutheran Brotherhood; 3M; Unisys Corporation; Wells Fargo Bank; US Bank; University of Minnesota Hospitals; Kimberly Clark Paper Company; and, Wisconsin Public Power. 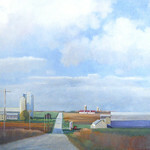 In 2008, Maakestad won the Utrecht Award at the Plein Air Festival in Door County, Wisconsin. He was also selected for an artist fellowship at Künstler Haus in Salzburg, Austria in July, 2009. Maakestad says of his work: “I am attracted to the land and its patterns, colors and emotions. My interest derives from the geography of Southern Minnesota where I spent my childhood. 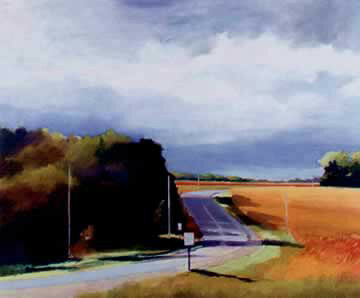 The places I paint are ones in which the land is the story and man is just a player. 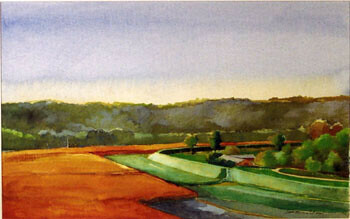 I limit buildings but I include shapes of fields and roads. 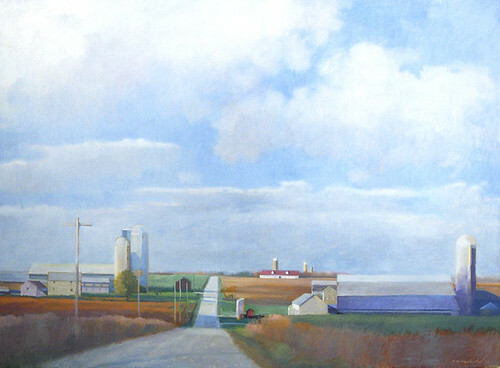 I tend to filter my compositions and pick my subject matter based on the right set of visual circumstances: ones which build a solid foundation for color and light to play well on the surface of the work.” There are six works by Tom Maakestad in the Luther College Fine Arts Collection, all given by the artist. 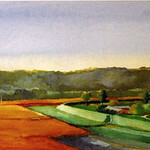 The works include four oil pastel drawings, one oil painting, and one watercolor.